Americans consume on average 3 rimes as much sugar as recommended by nutritionists. The result- the health of our nation is declining. Study started in 1968 finds that women who were physically fit in middle age were roughly 88% less likely to develop dementia. Most people are aware of the link between exercise and better health. So, why are over half of the population not sufficiently active and suffering from preventable health problems such as overweight and obesity? The answer can be explained by many variables including individual, environmental, and cultural factors to name a few. However, have you ever considered the importance of a persons self-confidence in first, participating in exercise, and second, sustaining it over a period of time to reap the benefits? Research shows that this factor is essential to successful physical activity behavior change. Self-confidence is a person's belief in their ability to successfully perform a certain task or establish a positive habit to bring about a desired outcome. Importantly, a person's confidence level in regard to performing exercise has been shown to have a significant impact on a persons success in changing exercise habits. A persons confidence level towards successfully performing exercise behaviors can easily be measured by having the person rate their confidence on a 10 point scale, with 1 being the lowest (not confident) and 10 being the highest (very confident). Why a persons confidence level may be too low to exercise regularly? Example...one may lack the knowledge about what type of exercise could improve their health condition. This may contribute to the individual not feeling confident about exercise participation as they may have reservations about the safety of exercise not being able to participate properly due to their condition. Find an exercise class to see how other people, similar to them, have achieved successful results through exercise for example, patients with chronic conditions. An explanation of the small steps that the older adult can take may also help. Seek to improve your physical or emotional state before attempting exercise. For example, find help to overcome any anxiety you may have about exercise participation. Next time you intend to participate in a new health behavior, such as exercise, consider the power of self-confidence in assisting you to achieve successful outcomes. In an early step toward "one-stop" screening for cancer, researchers report they've developed a blood test that can detect eight types of the disease. The blood test is dubbed CancerSEEK. The researchers said the findings are an "exciting" initial step. Scientists have shown how lack of exercise takes a much bigger toll on the elderly - in particular, reducing the power of the muscles in their legs. That power is essential for movements such as climbing the stairs - increasing their risk of lack of independence, and isolation, a major cause of premature death. Resistance band training builds strong muscles and bones while improving seniors' ability to perform daily activities. According to National Institute of Health, regular weight training fights age-related loss of muscle and bone mass. The a government CDC report that resistance training improves balance and reduces symptoms of chronic disease, including arthritis and Parkinson's. Resistance bands are inexpensive, safe, transportable and provide seniors with external resistance during weight training. The Stronger Seniors® Core Strength Chair Exercise Program is designed by Stott Pilates Instructor Trainer and Faculty Provider Anne Burnell to help seniors develop the core foundation of the body-The muscles of the Abdominals, the Lower Back, and the Pelvic Floor support the spine and internal organs, essential to the overall fitness of the body. The Core Strength program is based on the teachings of Joseph Pilates, modified for the chair to make Pilates routines easy for Seniors and the mobility challenged. Resistance Band included with DVD. In photos of the sitting Supreme Court, 84-year-old Justice Ruth Bader Ginsburg looks tiny compared to her colleagues, but don't be fooled: She is "TAN," says her personal trainer, Bryant Johnson, and "by TAN I mean Tough. As. Nails." Ginsburg's health has been a topic of discussion — and concern among Democrats — since President Trump was elected, but it's particularly buzzworthy right now because of a new book by Johnson that's officially out as of Tuesday: "The RBG Workout: How She Stays Strong...And You Can Too!" Also, because Axios reports that Trump expects to have the chance to replace her, commenting to an unnamed source, "What does she weigh? 60 pounds?" Ginsburg may be more of a judicial heavy than a physical heavy, but once you see her workout, you'll bet on her over Trump in a push-up contest any day. She does multiple sets of full-on, military-style push-ups. She does one-legged squats. She recently started doing planks. She is, it seems, an iron octogenarian. The workout itself is a balanced, solid routine that includes some cardio, weights and other strength and resistance training, stretching, core work and balance — all kinds of good, evidence-based moves. Ginsburg gives extensive public credit to Johnson, who has been training her since 1999; he, in turn, gives props to her will of steel. I asked him how Ginsburg, who has twice survived cancer, can do this workout at 84, and he pointed to her tough-as-nails character, "her resistance, her tenacity." "I was talking to the justice about this recently," he said in a phone interview, "and I said, 'Well, justice, if nothing else, I hope the message will get out that you're never too old to start working out and exercising the body. So they can't use age as an excuse." Hear hear, said Dr. Eddie Phillips of Harvard Medical School, the chief of physical medicine and rehab at the Boston VA (and my co-host on the exercise podcast "The Magic Pill.") He said he's especially impressed by how Ginsburg progressed over the last 18 years of training — for example, from doing push-ups against the wall, to push-ups on her knees, to multiple sets of full push-ups. "What Justice Ginsburg shows is that indeed, you can get stronger at any age — at 65, at 83 — and I suspect, and the science shows, that she'll be doing a workout at 93, and still adding muscle and still adding functional capacity," he said. "It also keeps her mentally sharp, and extends her life." The good news for people who want to emulate the Notorious RBG but don't love to work out: She does the workout only twice a week. Exercise researcher Wayne Westcott, director of the exercise science program at Quincy College, has found that working each muscle group twice a week tends to be enough, and is generally as effective as three times a week. And as people age, he noted, they don't recover as quickly. "So for people over age 50, let alone over age 80, typically we recommend not training the same muscle groups more than twice a week, because they won't fully recover," he said. So if Ginsburg is doing a total body workout, "which she certainly is, twice a week is perfect for her." Because of Westcott's research, he was not surprised that Ginsburg managed to get stronger even at an advanced age: "Age does not seem to be a factor in responding to the strength-training stimulus," he said, "as long as you get plenty of protein, because old people don't assimilate protein as well." Asked about Trump's comments on Ginsburg's size, both Westcott and Phillips responded that being small doesn't necessarily mean a person is weak or frail. It can be a problem when older people lose muscle mass — it's called sarcopenia — or bone. But strength training offsets that process, allowing them to maintain or even gain muscle mass. Westcott's research has found that even people in their 90s can regain several pounds of muscle mass through training. 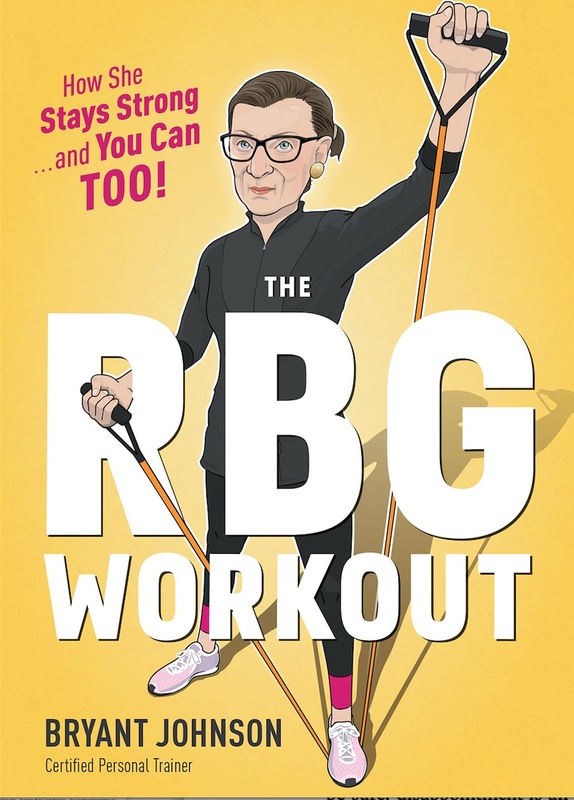 I have a feeling "The RBG Workout" is going to sell very well — it's an appealing little yellow tome, easy to throw into a gym bag, and all the exercises are illustrated by pictures of Justice Ginsburg doing the moves, with her big glasses, pulled-back hair and big button earrings. So I asked Dr. Phillips whether he had any cautions or caveats for readers who are maybe starting from a not-so-super-fit point. "For anyone inspired by Justice Ginsburg, as we all should be, I would say start slow, but start," he said. "Get moving and then progress slowly, and get some guidance just as she did." The state of Washington directs 65 percent of its Medicaid long-term spending to home and community-based services rather than to nursing homes.The national average is 41%. Washington state has realized $4.4 billion dollars in savings over the last 18 years as a result of focusing on this more personal level of long-term care. Eye problems and disorders are common in the elderly population. Laser surgeries and other treatments exist to correct and even reverse some of these aging-related conditions. The key is to detect them early. Regular eye exams will help detect vision problems before they become serious. Here is a list of common age-related eye problems that can affect people at various stages in life but often affect the elderly. Your eye has a lens that helps it to focus. The lens is made of protein. When protein molecules clump, a cloudy spot (called a cataract) forms. This is common in older people. Because cataracts grow slowly, your eye doctor may simply monitor a cataract until it interferes with your vision. Cataract surgery is a very common procedure to remove the cataract from your eye. Talk to your doctor about alternatives if you're not ready to have surgery. Your eyelids have lacrimal glands that produce tears, and they drain into your tear ducts in your lower eyelids. If your lacrimal glands stop working well, your eyes will become dry and uncomfortable. Eye drops can help, but have your eyes checked. There may be a simple procedure to partially plug your tear ducts (to keep tears from draining too fast). The eye is filled with fluid. If too much pressure develops in the eye, it is called glaucoma. Over time, this build-up of pressure can damage the optic nerve and cause blindness. Luckily, this pressure develops slowly and routine eye exams can detect glaucoma before it becomes dangerous. This is a very long term for loss of central vision. The macula is a part of the retina that processes central vision. Sometimes with aging, the macula deteriorates. This causes problems with driving, reading and many common tasks. Treatment can include laser surgery on the macula. Because of problems with diabetes, the tiny blood vessels that supply oxygen and nutrients to the retina become less effective, which leads to vision problems. Treatment includes laser surgery and a surgical process known as a vitrectomy. All diabetics should have annual eye exams. The layers of the retina can detach from the underlying support tissue. If untreated, retinal detachment can cause loss of vision or blindness. Symptoms include an increase in the type and number of "floaters" in your eyes, seeing bright flashes, feeling as if a curtain has been pulled over the field of vision, or seeing straight lines that appear curvy. Surgery and laser treatment can often reattach the layers of the retina. National Institute of Aging. Aging and Your Eyes. Bound for Your Good Health. Pages 69-72. Derived from the Sanskrit word “yuji,” meaning yoke or union, yoga is an ancient practice that brings together mind and body (1). This article takes a look at 13 evidence-based benefits of yoga. I've listed the benfits at right here...the complete article is below. In fact, multiple studies have shown that it can decrease the secretion of cortisol, the primary stress hormone (2, 3). After a three-month yoga program, the women had significantly lower levels of cortisol. They also had lower levels of stress, anxiety, fatigue and depression (4). Another study of 131 people had similar results, showing that 10 weeks of yoga helped reduce stress and anxiety. It also helped improve quality of life and mental health (5). SUMMARY:Studies show that yoga can help ease stress and lower your levels of the stress hormone cortisol. At the end of the study, those who practiced yoga had significantly lower levels of anxiety than the control group (6). After 10 weeks, the women who practiced yoga once weekly had fewer symptoms of PTSD. In fact, 52% of participants no longer met the criteria for PTSD at all (7). SUMMARY:Several studies show that practicing yoga can lead to a decrease in symptoms of anxiety. Inflammation is a normal immune response, but chronic inflammation can contribute to the development of pro-inflammatory diseases, such as heart disease, diabetes and cancer (8). At the end of the study, the individuals who practiced yoga had lower levels of inflammatory markers than those who didn’t (9). Similarly, a small 2014 study showed that 12 weeks of yoga reduced inflammatory markers in breast cancer survivors with persistent fatigue (10). One study found that participants over 40 years of age who practiced yoga for five years had a lower blood pressure and pulse rate than those who didn’t (11). High blood pressure is one of the major causes of heart problems, such as heart attacks and stroke. Lowering your blood pressure can help reduce the risk of these problems (12). Participants saw a 23% decrease in total cholesterol and a 26% reduction in “bad” LDL cholesterol. Additionally, the progression of heart disease stopped in 47% of patients (13). It’s unclear how much of a role yoga may have had versus other factors like diet. Yet it can minimize stress, one of the major contributors to heart disease (14). SUMMARY:Alone or in combination with a healthy lifestyle, yoga may help decrease risk factors for heart disease. In one study, 135 seniors were assigned to either six months of yoga, walking or a control group. Practicing yoga significantly improved quality of life, as well as mood and fatigue, compared to the other groups (15). 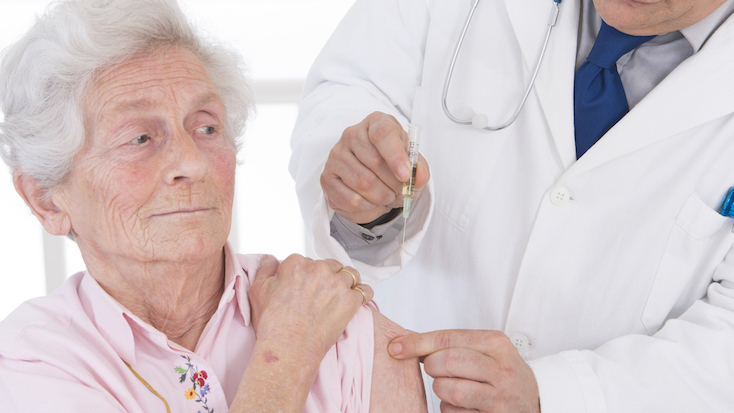 One study followed women with breast cancer undergoing chemotherapy. Yoga decreased symptoms of chemotherapy, such as nausea and vomiting, while also improving overall quality of life (16). A similar study looked at how eight weeks of yoga affected women with breast cancer. At the end of the study, the women had less pain and fatigue with improvements in levels of invigoration, acceptance and relaxation (17). Other studies have found that yoga may help improve sleep quality, enhance spiritual well-being, improve social function and reduce symptoms of anxiety and depression in patients with cancer (18, 19). SUMMARY:Some studies show that yoga could improve quality of life and may be used as an adjunct therapy for some conditions. This may be because yoga is able to decrease levels of cortisol, a stress hormone that influences levels of serotonin, the neurotransmitter often associated with depression (20). After two weeks, participants had fewer symptoms of depression and lower levels of cortisol. They also had lower levels of ACTH, a hormone responsible for stimulating the release of cortisol (2). Other studies have had similar results, showing an association between practicing yoga and decreased symptoms of depression (21, 22). SUMMARY:Several studies have found that yoga may decrease symptoms of depression by influencing the production of stress hormones in the body. At the end of the study, yoga was found to be more effective in reducing pain and improving grip strength than wrist splinting (23). Another study in 2005 showed that yoga could help decrease pain and improve physical function in participants with osteoarthritis of the knees (24). SUMMARY:Yoga may help reduce chronic pain in conditions like carpal tunnel syndrome and osteoarthritis. Poor sleep quality has been associated with obesity, high blood pressure and depression, among other disorders (25, 26, 27). The yoga group fell asleep faster, slept longer and felt more well-rested in the morning than the other groups (28). Another study looked at the effects of yoga on sleep in patients with lymphoma. They found that it decreased sleep disturbances, improved sleep quality and duration and reduced the need for sleep medications (29). Though the way it works is not clear, yoga has been shown to increase the secretion of melatonin, a hormone that regulates sleep and wakefulness (30). SUMMARY:Yoga may help enhance sleep quality because of its effects on melatonin and its impact on several common contributors to sleep problems. A recent study looked at the impact of 10 weeks of yoga on 26 male college athletes. Doing yoga significantly increased several measures of flexibility and balance, compared to the control group (31). After one year, total flexibility of the yoga group increased by nearly four times that of the calisthenics group (32). A 2013 study also found that practicing yoga could help improve balance and mobility in older adults (33). SUMMARY:Research shows that practicing yoga can help improve balance and increase flexibility. In one study, 287 college students took a 15-week class where they were taught various yoga poses and breathing exercises. At the end of the study, they had a significant increase in vital capacity (34). Another study in 2009 found that practicing yogic breathing improved symptoms and lung function in patients with mild-to-moderate asthma (35). SUMMARY:Yoga incorporates many breathing exercises, which could help improve breathing and lung function. Migraines are severe recurring headaches that affect an estimated 1 out of 7 Americans each year (36). A 2007 study divided 72 patients with migraines into either a yoga therapy or self-care group for three months. Practicing yoga led to reductions in headache intensity, frequency and pain compared to the self-care group (37). Another study treated 60 patients with migraines using conventional care with or without yoga. Doing yoga resulted in a greater decrease in headache frequency and intensity than conventional care alone (38). Researchers suggest that doing yoga may help stimulate the vagus nerve, which has been shown to be effective in relieving migraines (39). SUMMARY:Studies show that yoga may stimulate the vagus nerve and reduce migraine intensity and frequency, alone or in combination with conventional care. This practice has been shown to promote healthy eating habits that help control blood sugar, increase weight loss and treat disordered eating behaviors (40, 41, 42). One study incorporated yoga into an outpatient eating disorder treatment program with 54 patients, finding that yoga helped reduce both eating disorder symptoms and preoccupation with food (43). Yoga was found to cause a decrease in episodes of binge eating, an increase in physical activity and a small decrease in weight (44). SUMMARY:Yoga encourages mindfulness, which may be used to help promote mindful eating and healthy eating habits. They experienced a significant increase in upper body strength, endurance and weight loss. Women had a decrease in body fat percentage, as well (45). A 2015 study had similar findings, showing that 12 weeks of practice led to improvements in endurance, strength and flexibility in 173 participants (46). SUMMARY:Some studies show that yoga can cause an increase in strength, endurance and flexibility.